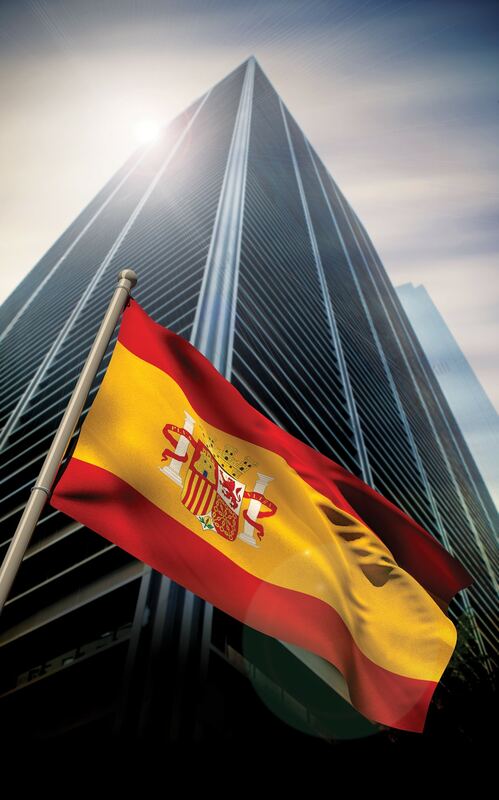 Spanish companies will face several challenges during the proxy season of 2016. 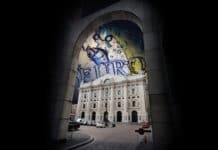 Listed companies are no strangers to uncertain political scenarios, with Spain currently debating the government’s ideological route in an unprecedented situation where the parliament is appallingly factioned, but there are other issues beside the political environment that will impact companies this year. One of the key issues for this proxy season is the impact on governance in companies where SEPI (the Spanish legal body responsible for protecting public investments in state-owned companies controlled by the Spanish Treasury and Public Administration Ministry) holds a significant stake and has a seat on the board.¹ Aside from the kind of outcome the European zone would hope for Spain, governance of companies that have the state’s participation may be affected. These companies are heavily regulated; in others, SEPI acts like a regular shareholder. SEPI holds a minority stake in Enagas (five per cent); Indra (20.14 per cent); IAG (2.46 per cent) and Red Eléctrica Corporación (20 per cent). The legal framework around companies underwent several changes in 2015, with one of the main source of changes in corporate governance being the amendment of the Spanish Corporate Act on December 2014 through Law 31/2014.² This law took several provisions of the previous country corporate governance code and elevated them from soft-law to hard-law mandatory standards. Though this has been discussed in previous editions of this magazine, it’s worth recalling that the law came in to force once enacted, but some transitory provisions gave time for companies to comply with new challenges in important areas, such as board of directors and remuneration. In terms of remuneration, the law has already embraced the say-on-pay vote.³ With the reform, a binding vote on remuneration policy for directors was included, which will be revised every three years. The transition regime allows companies to include a brief summary of the policy in the annual remuneration report subjected to say-on-pay. Among Ibex 35 4, only nine companies (25.7 per cent of the index) presented their remuneration policy5 as a separate item on the agenda, subject to a binding vote. It is worth mentioning that SEPI holds a 20 per cent stake in both REC and Indra and that the current policy of the government is to abstain from any items related to remuneration that occurred in 2015. The market doesn’t expect many new remuneration policies for this proxy season – most of the companies will wait three years, in congruence with the transition regime, to deal with this matter. However, some shareholder meetings, that at this time have already been announced, contain in their proxy statements the remuneration policy, such as Bankinter, Enagas, Sabadell and Mapfre. The level of disclosure in terms of remuneration has been improving in the last two years, especially in financial institutions, however we can expect challenging votes for some companies that are still reluctant to share targets and weights – at least retroactively or to their peer group. One key challenge for listed companies will be to convince investors that they do have a real long-term incentive plan. Vesting periods in a relevant number of companies are shorter than expected in investor voting guidelines and, for now, we haven’t seen policies that embrace the five-year vesting period. According to the annual study conducted by Georgeson on Proxy Season 2015, 44 per cent of proposals submitted to a consultative vote on say-on-pay received an against recommendation from at least one proxy advisor in contrast with 33 per cent the previous year. However, we should take into account that companies in Ibex 35 have changed over the course of the year. The average against votes for companies that received a negative recommendation from a proxy advisor was 15.15 per cent, which is a slight increase from 2014, so we can expect investors to vote in the same line. In terms of directors’ remuneration, Spain’s financial regulatory body, the Comisión Nacional del Mercado de Valores (CNMV), amended regulation Circular 7 of 2015 – one enacted back in 2013 that establishes the remuneration annual report.6 The format of this report though allows investors to have a comparative view of different compensation schemes and seems to be brief in giving a long-term view. Companies will feel compelled to include additional information documents, explaining to foreign investors things such as the level of achievement in relation to targets and goals, and severance or termination agreements with key decision-takers other than directors. In terms of the board of directors, the reform adopted a new cap on directors’ tenure – four years instead of six. Given the fact that governance trends are leading investors to seek annual elections in order to evaluate directors performance on a regular basis, we can expect, as in the past, that foreign shareholders will ask from Spain for some self-regulation in this aspect. It’s hard to foresee a scenario in the near future where most Spanish-listed companies adopt annual elections, however the market has to meet in between. Some companies, for example, adopted a three-year tenure even before the reform, as in the case of BBVA and Indra. Notably, IAG has a one-year director’s tenure and Amadeus has a mixed system where the first appointment is for three years, but reelections are for one year only. We have seen investors, according to public records, voting against reelection or appointment of directors due to the fact that they consider the tenure too long, such as Aviva and Calsters. It’s expected that those companies will receive against votes if they retain the four-year tenure, even when proxy group ISS has not changed the policy in this particular matter for the market. According to research conducted by Georgeson and Cuatrecasas, the level of against recommendations from ISS by the different types of directors were the following: 60 per cent of nominee directors (proprietary directors), 39.13 per cent of executive directors, 18.8 per cent of other external directors and 2.6 per cent of independent directors got an against recommendation. Challenges for this proxy season will certainly be to do with the extent of the directors, the presence of independence in the board and the split of the chairman & CEO roles. 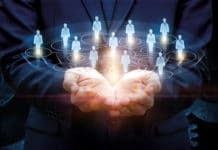 The new law establishes the mandatory rotation of independent directors every 12 years, which is something that many companies introduced through by-laws. However, it seems that a relevant number of investors, especially from France and the UK, are willing to demand a nine and 10-year rotation. It should be highlighted that some companies have opted to split the roles of chairman and CEO, such as Repsol and Red Eléctrica. In the latest extraordinary meeting for this purpose, with a historical quorum and a level of support on all items an average of 98 per cent, José Folgado kept his role as chairman at Red Eléctrica and his name will be submitted for reelection at the next general shareholders meeting, while Juan Lasala Bernad former CFO, was appointed as new CEO of the company. Another important reform in the Spanish context was the release of a new country code. The Spanish Corporate Governance Code for listed companies enacted by the CNMV that worked along with an advisory commission had few improvements as most of the key issues were included in the legal reform. One of the most important aspects that was included in this document, however, was the international standard related to the issuing of share capital limiting the capacity of waiving preemptive rights. 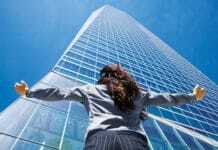 Most companies that adopted international standards had followed ISS guidelines, which limits the capacity to 20 per cent, and that’s what the Code embraced. However, it is not uncommon for investors to ask to limit the waiving of preemptive rights down to 10 per cent or even five per cent, especially French investors and some US asset owners. It can be an issue for Spanish companies that seem to be in need for capital to not hear about these new limits the markets are setting. In terms of control environment, we will see changes when related to external audit. Law 22 was enacted in 2015 and will be in force in July 2016. While the average time of an auditor among listed companies is around 12 years, the law introduces a new rotation limit – a maximum period of 10 years that may be extended for another four years if the firm acts jointly with another auditor. As for the rotation of the partner the firm shall rotate the person every five years, including a cooling off period of three years. The law also caps the non-audit fees. If these fees reach more than 15 per cent of the auditor’s total yearly income for each of the last three consecutive years, the auditor will not be able to audit the following year. This most certainly will be a challenge. We believe those companies with relationships with their external auditor for more than 15 years should expect investors to demand a change of firm. 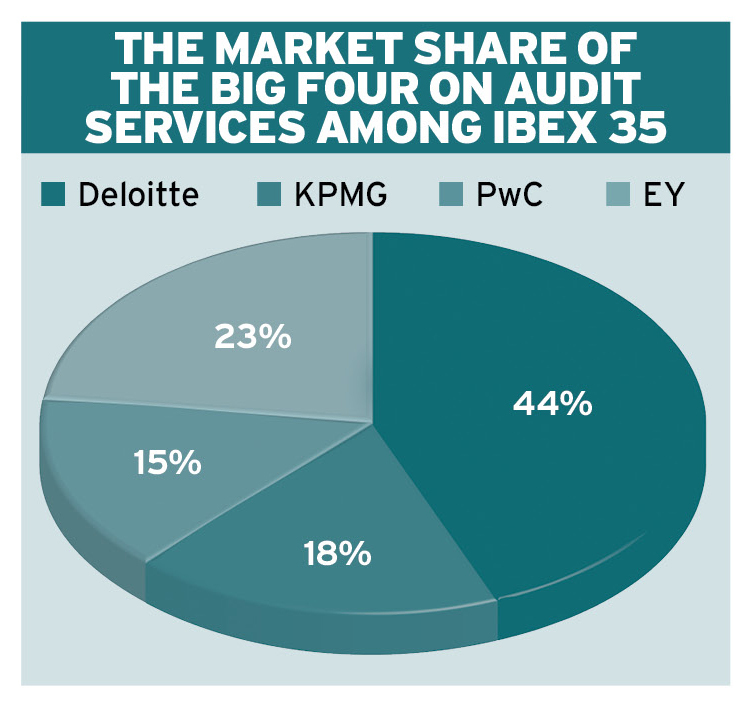 From the current Ibex 35 companies, six have been with the same firm for more than 20 years, 13 companies between 11 and 15 years, five companies between six and 10 years and then 10 companies between one and five years. Some companies, such as Enagas and Bankinter, that have already convened their shareholder meeting, have submitted for approval the appointment of a new external auditor. In general, the challenges are mainly the same but standards are higher than previous years. Compliance has set ground rules that will oblige companies to self-regulate in order to give foreign investors more. Spanish companies are putting in great effort to promote shareholder engagement – they still have barriers to identifying foreign investors – but are willing to invest in dialogue. 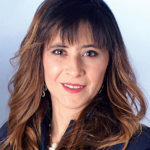 Drawing on nearly a decade and a half of practiced expertise in her field, Ms.Gutierrez parlays her various experiences into her position with Georgeson, which offers advice to corporations on how to engage with investors on Corporate Governance issues. She has become known in her industry as a knowledgeable professional with many years of expertise and experience in corporate governance conducting due-diligence for private equity funds, board evaluations and advocacy programs that involve fundraising tasks. Ms. Gutierrez helps to promote Corporate Governance in emerging markets and is taking steps to assist new Spanish listed companies in knowing and engaging with their investors on Corporate Governance issues. She is involved in several Proxy Contests and is well known for advising companies about the governance risk they face according to their ownership structure. Ms. Gutierrez is the Country Correspondent for Spain of the ICGN. Previous articleWhat constitutes a risk-based approach?